Halloween Cake marzipan, a photo by CAKE Amsterdam - Cakes by ZOBOT on Flickr. 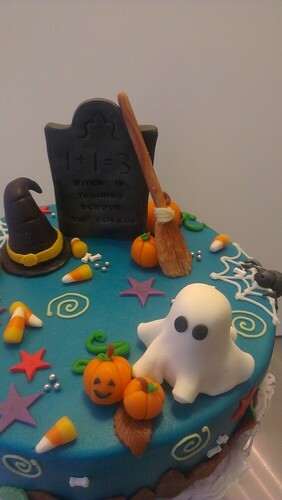 Halloween Cake made for the Witches in Training School which meets one night a year! FLAVOR : Spiced Pumpkin with vanilla frosting and marzipan decorations.